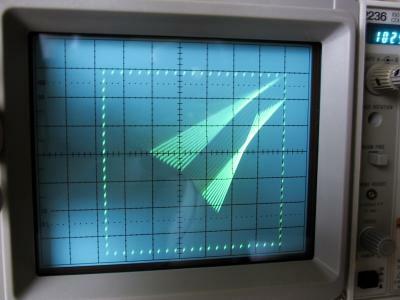 Tektronix 2236: Photos, specs and manuals. My Tektronix 2236 scope, click the image for bigger photos. 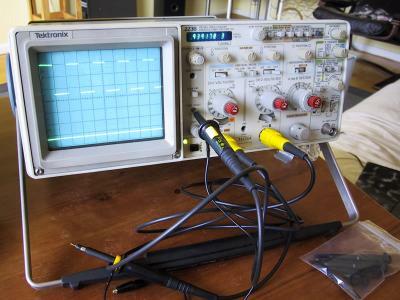 I have just bought a Tektronix 2236, a very nice analog oscilloscope with the added bonus of having a built in frequency counter, ohmmeter, (true rms) voltmeter and other digital multimeter functions. I paid 2000DKK incl. 25% VAT, in feb 2003 the scope came uncalibrated, without probes and manual, there aren't that many used scopes in Denmark, so you will be able to find one much cheaper on ebay. When I was researching the scope prior to buying it (like you are now, I guess) I was annoyed by not being able to find some really good photos (click the image), so I could figure out what features the scope has and I couldn't find a manual either, so I descided to publish this page to provide the service that I was missing. I have the service manual (Thanks Doug) on dead wood, so if there is anything in the pdf that is unreadable let me know and I'll try to scan the pages for you. Stix on a scope, click for more. One silly little experiment that I've wanted to do for years is to take my expensive PC and my expensive scope and turn it into a simple vector screen, using the on board sound device on my motherboard I did just that. Anyway, the source is here: xy.tar.gz [12K] unlike this application the software might be of some sort of use to someone, as it demonstrates how to use /dev/dsp on Linux.